As content consumption is becoming increasingly digital and fragmented across a range of devices, including desktop computers, tablets, and smartphones users are demanding more from modern content creators and expect content to display seamlessly on the multitude of devices available. 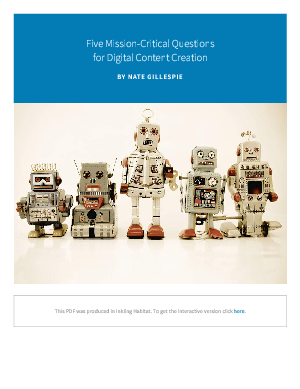 Learn how to address these challenges before starting your next digital content project in this free white paper. Gathered from years of working with some of the world’s leading publishers, you’ll learn some simple steps you can take now that will make your next creation project easier and more successful.